Northern Michigan has long inspired poets, painters and writers. Among the most famous is Ernest Hemingway. Hemingway’s footprints traverse the local landscape and have become local lore, from Walloon Lake to Horton Bay and into downtown Petoskey. 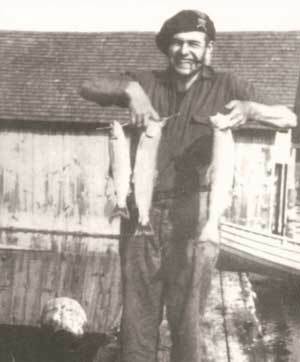 Originally from Oak Park, Illinois, the Hemingway family summered in northern Michigan, where Ernest’s father taught him to hunt and fish. The Hemingways’ summer house, Windemere on Walloon Lake, was a refuge for the family to stay cool and enjoy the nature. Hemingway would fish the streams, hunt squirrels, and take a rowboat out for angling. The serenity he found while alone in the forest or wading a stream is evident in his stories. 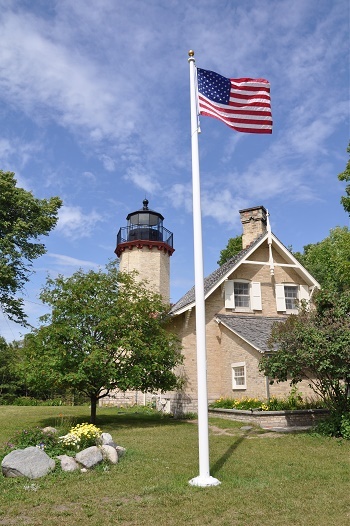 A piece of United States Coast Guard history is at rest in Mackinaw City, berthed as a testament to Emmet County’s geographic significance on the Great Lakes. 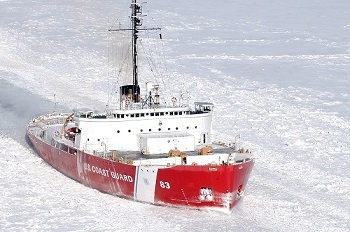 The Coast Guard Icebreaker, Mackinaw, a WAGB-83, is known as “The Queen of the Great Lakes.” She was built as part of the WWII effort to meet the heavy demands of transporting war materials and facilitating transportation during the winter months. For decades her home port was at the mouth of the Cheboygan River, where more than 65 years ago the federal government excavated a basin to accommodate large lake vessels entering Cheboygan harbor. The 290-foot Mackinaw was decommissioned in 2006. Now a museum ship docked in Mackinaw City, the 1944-built Mackinaw is open for public tours and group events. Visitors can tour the mess deck, engine room and offices, plus hear the story of the Mackinaw’s long career breaking ice on the Great Lakes. Michigan’s state stone, the Petoskey Stone, is commonly found along the shoreline of Little Traverse Bay. 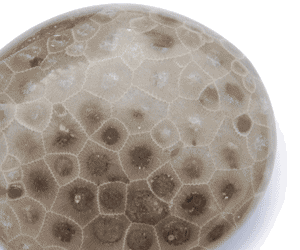 A Petoskey Stone is a rock and a fossil that is composed of a fossilized coral, Hexagonaria percarinata. The stones were formed as a result of glaciation, in which sheets of ice plucked stones from the bedrock, grinding off their rough edges and depositing them in the northwestern portion of Michigan’s lower peninsula. They are fragments of a coral reef that were originally deposited during the Devonian period, about 350 million years ago. In 1965, it was named the state Stone of Michigan. Shops throughout the region carry Petoskey Stones as gift and jewelry items, in both rough and polished versions. Find your own while beach walking along Lake Michigan’s shoreline.